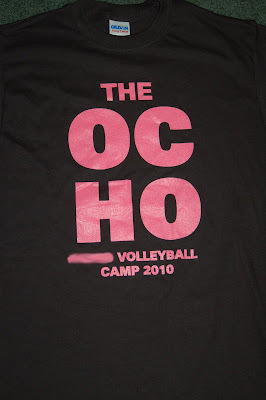 Steph returned from her final volleyball camp session. "OMG, Dad, you won't believe the t-shirt they gave us." It's supposed to be "ocho" as in eight which is how many years the camp has been held. Oops! It's election season. "Vote for me" signs are out. My answering machine intercepts robo-calls. Political post cards and mailers arrive every day. 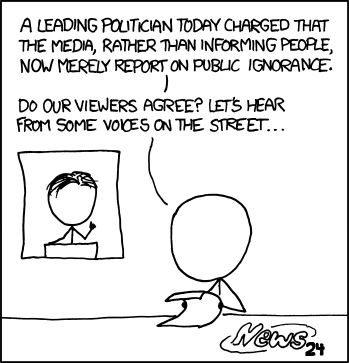 And the newspaper is full of ads and letters endorsing candidates. But there's one candidate who is relying on a different method of getting some name recognition. David R. Fox is running for the 5th Congressional District. Well he paid the filing fee at least. He hasn't done any campaigning that I know of and little has been said of him until yesterday's Spokesman Review. Fox has a checkered history that includes being accused earlier this year of demanding a client expose himself during a consultation in the Clallam County Jail. Fox denied the allegations in interviews with KOMO-TV in Seattle and the Peninsula Daily News, but Clallam County Sheriff Bill Benedict told the newspaper Fox did admit masturbating in the interview room. The same report says Fox is suspected of writing a bad check at another downtown restaurant, and was asked to leave the River Park Square mall or be cited for trespass. Sunday night, it was Fox who called police from McDonald’s on West Third Avenue to say he’d been assaulted in a nearby courtyard below the interstate. Officers arrived and questioned Fox, who identified Washington. Washington admitted hitting Fox. Which begs a question of Mr Fox. Why are you here? The James Zadroga 9/11 Health and Compensation Act of 2010 would have provided health care and compensation payments to 9/11 rescue and recovery workers who fell ill after working in the ruins of the World Trade Center. The bill was named after a New York City police officer who died of a respiratory disease attributed to his participation in the 9/11 rescue and recovery efforts. Thousands of emergency workers exposed to dust during the recovery and cleanup at the World Trade Center are suffering from breathing difficulties. 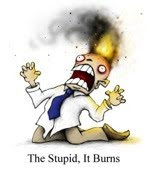 Rather than suffer through Republicans attaching non-related amendments, especially so called "poison pill" amendments that would force Democrats to vote against the bill, the bill was moved to the suspension calendar which requires a minimum 2/3 vote to pass. The vote was on this bill alone and nothing else so it should be an easy decision to make. Well it turns out that shame has no effect on most of the current Republican House members. What we are doing tonight is a cruel hoax and a charade. Everyone knows this bill won't get the 2/3 majority required on the suspension calendar and everyone also knows that this bill would pass with a clear majority if the Democrat leadership would allow it to come to the floor under the regular procedures of the House. The reason HR 847 is not being brought up under regular order is the majority party is petrified of having its members face a potential vote on illegal immigration. You can blame the Republicans, and I've been strongly critical of the Republican position on this issue but the reality is, you could pass this bill if you wanted to. You are in control, you have the power and you have the responsibility. Got that? The Democrats are to blame for not allowing non-related issues to be attached to this bill. Rep Anthony Weiner (D-NY) had this to say about the Republican members' hypocrisy and failure to do the right thing. The voting record speaks for itself. Four Democrats joined 155 Republicans, including our own Cathy McMorris Rodgers, stood and gave the heroes they lauded a big thumbs down. When it comes to God, country, our military, first responders and heroes, Republicans are quick to drape themselves in red, white and blue and cheer. In yesterday's vote, Cathy McMorris Rodgers and her fellow Republicans showed their thanklessness and heartlessness. In this case the only thing they'll drape in red, white and blue are coffins. As their votes show, it's not like they care. The first thing that came to mind when I saw this was George Carlin's voice. People lined up at the Jelly Belly RV. Some people get ticketed for parking in a loading zone. Some people get ticketed for parking while facing the wrong direction. Some people get ticketed for parking facing the wrong direction in a loading zone. When I left work this young man was percussing up a storm. The security ambassadors just walked on by and let him percuss away. I received this email today from Cathy McMorris Rodgers. I just wanted to let you know that I introduced a bill today to support Eastern Washington's hydropower consumers and increase government transparency: The Endangered Species Compliance and Protection Act. This bill would require Power Marketing Administrations, including the Bonneville Power Administration, to separate out and report the costs associated with the Endangered Species Act to each customer. In our region – and throughout America – the benefits of hydropower aren't being fully tapped because of billions of dollars in excessive regulatory costs to mitigate unproven environmental effects. In the Pacific Northwest, for example, 30 percent of wholesale power rates go to compliance programs for endangered salmon. Despite the growing costs, many consumers don't know how much they're paying for salmon protection, or whether they're paying at all. They have a right to know how their money is being spent. That's where my bill comes in. By empowering consumers with critical information, my bill will contribute to better decision-making about the use of hydropower and make hydropower move available to meet our economy's growing energy needs. As the founder of the Congressional Hydropower Caucus, I will strongly advocate for this bill and I will continue to be a champion for this clean, renewable, low-cost energy resource. I look forward to reading the text of the bill once it's posted. Since we consumers should know how much we're paying to protect salmon, shouldn't also know how much of what we pay goes to maintenance, new purchases, profit, CEO pay, political donations, etc.? Why stop with the cost of protecting salmon? Now the real questions. How does making consumers aware of how much they're paying for salmon protection "contribute to better decision-making about the use of hydropower and make hydropower move available to meet our economy's growing energy needs"? The consumers aren't making these decisions. And if hydroelectric power is a "clean, renewable, low-cost energy resource", why is the cost of protecting salmon such a huge deal for the consumer? I don't get the impression she's being a "champ" for the consumer. Bart (soon to be the new Riverkeeper, congrats!) sent me a note about the Road Closed sign I've harped about. 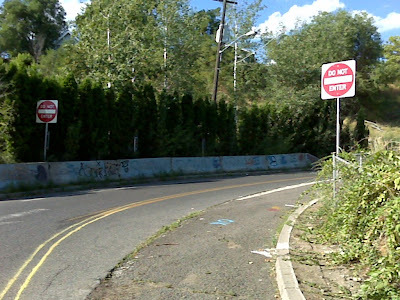 Now we have two Do Not Enter signs. Except for the commercial at the end this is a pretty cool video about learning how to run. You don't have to be barefoot to run like you're running barefoot, but a cushioned heel only gets in the way. 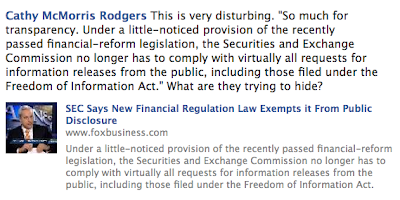 Congresswoman Cathy McMorris Rodgers posted a link to the Fox Business News web site concerning a "little-noticed provision of the recently passed financial reform legislation". McMorris Rodgers pronounces it very disturbing and asks, "What are they trying to hide?" Now I don't know that anyone is trying to hide anything. When you look up the bill and see the different versions and check out the first version submitted to the House back on December 2, 2009, you'll see this "very disturbing" language was in there from the start. Any person with Internet access could have read that seven months ago, including all members of Congress who all presumably read this legislation before they debated and voted on it. Nobody has said a word. Well, some people did and did something about it. Yes, can you believe the Project on Government Oversight got involved? No if anyone is hiding something here, it's Fox Business News and Congresswoman Cathy McMorris Rodgers. For hedge and private equity fund advisers subject to SEC registration, the Act would authorize the SEC to impose substantial new recordkeeping and reporting requirements. The Act would treat all records and reports of a private fund that a registered investment adviser manages as the records and reports of the adviser itself and thus subject to examination by the SEC. The Act would also require registered hedge and private equity fund advisers to participate in systemic risk reporting to the newly established Financial Stability Oversight Council (the "Council). Specifically, fund advisers will be required to maintain records and provide the SEC with reports (which will be made available to the Council) concerning assets under management and the use of leverage, counterparty credit risk exposure, trading and investment positions, valuation policies and practices, types of assets held, side letters with certain fund investors, trading practices and other information necessary for an assessment of systemic risk. Funds must maintain these records for as long as the SEC deems necessary, and the records may be subject to periodic or special examinations by the SEC. All record submissions to the SEC or the Council will be kept confidential (except with respect to disclosures to Congress, other government agencies or pursuant to court order) and are exempt from Freedom of Information Act disclosure. The Act attempts to strike a balance between the regulators' need to assess systemic risk and the fund advisers' need to keep their proprietary information confidential. But don't let that stop our congresswoman from making political hay. After all, it is an election year. Over on You Are Not So Smart, David McRaney has an excellent explanation of The Anchoring Effect along with examples. You try it on, look in the mirror and decide you must have it. While wearing this item, you imagine onlookers will clutch their chests and gasp every time you walk into a room or cross a street.You lift the sleeve to check the price – $1,000. Its expensive, and you don’t need it really, but $600 off the price seems like a great deal for a coat which will increase your cool by a factor of 11. 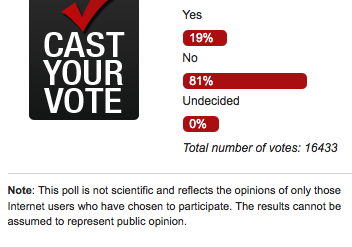 It baffles me that news organizations put polls on their web sites that can be accurate only by coincidence. At least this site puts up an honest disclaimer. But it begs the question. From the Pew Forum on Religion and Public Life. The Dove World Outreach Center, a non-denominational church in Gainesville, plans to host an "International Burn A Quran Day," on the ninth anniversary of the Sept. 11 attacks this year. The group even has a Facebook page full of bile, hate speech, misinformation and an occasional post from a rational voice. Verses from the Bible and Koran are tossed about as "proof" and Godwin's law has already proven true. [Pastor Terry ] Jones, who is also the author of a book titled "Islam is of the Devil," said protests are key to the mission of his church. "We feel, as Christians, one of our jobs is to warn," said Jones. The goal of these and other protests are to give Muslims an opportunity to convert, he said. Which makes just as much sense as a non-Christian religious group burning a pile of bibles to provide an opportunity for Christians to convert. It's sad how one's belief system can be used to justify or rationalize an action that would be egregious and highly offensive were the reverse to happen. And don't you dare say I'm wrong or there'll be hell to pay. Stephanie noticed a spelling mistake in the instructions on this ice pack. What I wondered was, "Since when do you read the directions?" 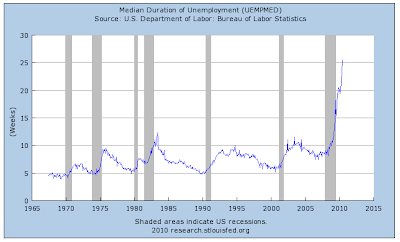 Congresswoman Cathy McMorris posted a link on her Facebook page today of a posting on The Atlantic entitled The Scariest Unemployment Graph I've Seen Yet. The post contained this chart and note. 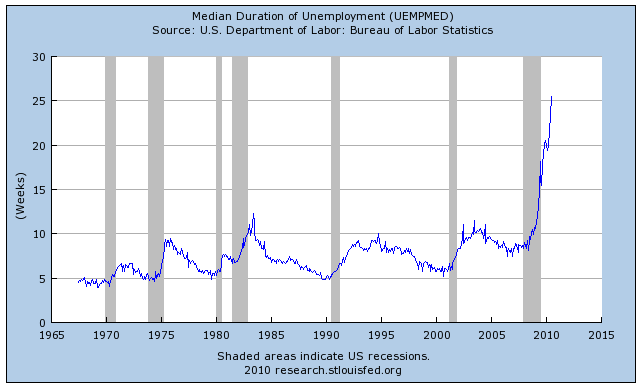 The median duration of unemployment is higher today than any time in the last 50 years. That's an understatement. It is more than twice as high today than any time in the last 50 years. It's scary all right for those who are unemployed, which she isn't and that can be scary, too, for some. Lately McMorris Rodgers has been beating the drums of doom about the International Monetary Fund and its efforts to help out Greece, Portugal, and other European countries. She even posted an idea on the House Republican web site, America Speaking Out, in which she states, "President Obama is committing between $50-100 billion of your tax money to help bailout European governments whose failed socialist policies have become too exorbitant to pay. All of this is being done behind closed doors." Behind closed doors! Scary, huh? As the head of the Executive Branch the President is in charge of a lot and he appoints people to make decisions on his and the country's behalf. He doesn't have to check in with Congress on everything. But it's behind closed doors! Congresswoman McMorris Rodgers acts like she's very concerned with what happens to our tax dollars, but is she really? Let's look at some more scary stuff--with charts! 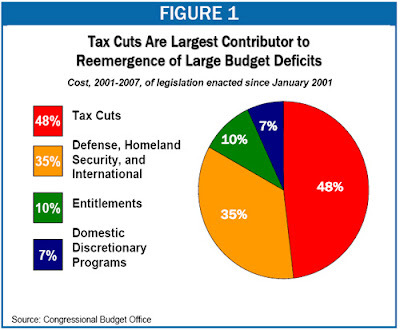 From an article in 2005, the year McMorris Rodgers began her first term, the Center on Budget and Policy Priorities uses data, including this chart, from the Congressional Budget Office showing the effects of the Bush tax cuts from 2001. In 2005, the cost of tax cuts enacted over the past four years will be over three times the cost of all domestic program increases enacted over this period. The new CBO data show that changes in law enacted since January 2001 increased the deficit by $539 billion in 2005. In the absence of such legislation, the nation would have a surplus this year. Three years later, another article on CBO data states "Congressional Budget Office data show that the tax cuts have been the single largest contributor to the reemergence of substantial budget deficits in recent years. 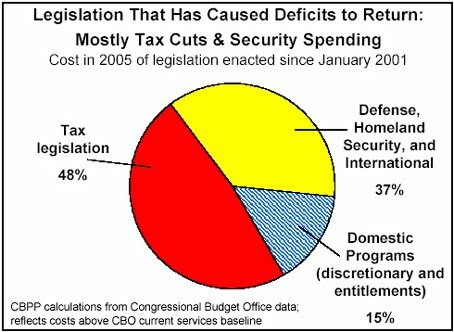 Legislation enacted since 2001 added about $3.0 trillion to deficits between 2001 and 2007, with nearly half of this deterioration in the budget due to the tax cuts (about a third was due to increases in security spending, and about a sixth to increases in domestic spending)." And last month another article about the effects of tax cuts for the rich and the costs of the wars. 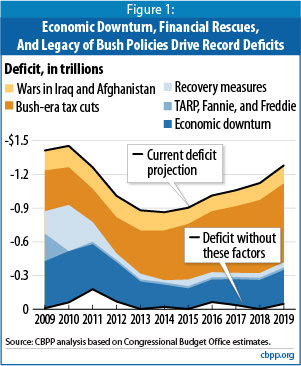 Together with the economic downturn, the Bush tax cuts and the wars in Afghanistan and Iraq explain virtually the entire deficit over the next ten years. If McMorris Rodgers were really concerned about our tax dollars, instead of chairing an earmark reform commission that did nothing or posted her own idea on America Speaking Out or declining earmarks during non-election years, you'd think she would have addressed that which affected the deficit the most. They make running Bloomsday look like a walk in the park, eh? Did he say he was the lead singer? Did he say he was rich and owned a yacht? Did he say he was from someplace exotic? Did he say he was a movie star? Nope. He said he was Jewish. A racial prosecution if there ever was one. Ben Stein had a piece published on The American Spectator yesterday. Strange. For one, [the current recession] has hit the people closest to me the hardest. Until now, I never had a friend who was truly in financial extremis from a recession. I never had a friend lose his house until this recession and now I am sad to say I have many pals who have either lost their homes or are in process of losing their homes. But in general, as I survey the ranks of those who are unemployed, I see people who have overbearing and unpleasant personalities and/or who do not know how to do a day’s work. They are people who create either little utility or negative utility on the job. Again, there are powerful exceptions and I know some, but when employers are looking to lay off, they lay off the least productive or the most negative. To assure that a worker is not one of them, he should learn how to work and how to get along -- not always easy. 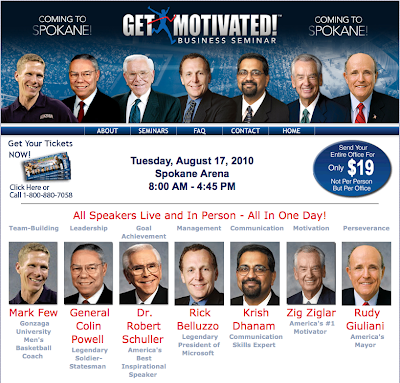 Has anybody not noticed the full page ad in the Spokesman Review every day for the last week or two for the Get Motivated business seminar at the Arena on Aug 17? With a ticket price of only $4.95 a person and the Arena holding about 12,000+ with chairs on the floor, there's got to be another way to get money out of you since ticket sales ain't gonna cover the venue and speakers. "Upgraded" seats closer to the stage and the star belly sneetches speakers where you can presumably take better pictures while you bask in their greatness cost more so there's that. When you register, you are also encouraged to order a workbook for $4.99. (Regularly $20.) Now you may ask yourself if getting a workbook is worthwhile. How can it not be if you get something to hang on your "I love me" wall? Each GET MOTIVATED Seminar Workbook contains a beautiful, full-color 8.5” x 11” certificate of completion that is perfect for framing. You’ll want to hang this certificate in your office or add it to your portfolio. And there's more. I was thinking about attending the seminar just to see if all the reviews were accurate. Did I say reviews? Check out the results you get from Google when you enter "Get Motivated Seminars" complaints in the search box. I suppose you could call those reviews. But I decided I would do something far more worthwhile if I were to take a day off work. I saw on other blogs that Tamara Lowe, an owner and organizer of Get Motivated, will post a comment or two. No doubt she or someone working for her knows how to use Google Alerts. On both the northeast and southwestbound lanes of Country Homes Blvd between Wall and Division there are some tentative markings (click photo to embiggen and see better) that look like they indicate new vehicle and bike lane striping. I went to help out at the Pedals2People bike tune up during the South Perry Street Fair today. I think we ended up working on a little over 40 bikes. It was fairly slow but steady until one man stopped by and asked how long the wait was. He was told there was no wait so he went to get his bike. When he returned about 15 minutes later a stack of bikes preceded him, but we were able to get through them all quickly enough. This morning I left home a little early and took a different route to work on my bike. As I passed by the Five Mile Park 'n' Ride I spotted this on the back of the STA bus. Pay to hear Sarah Palin talk about Taking a Stand: God, Family and Country? That got me curious so I looked it up. Teen Challenge Pacific Northwest and a book store called the Garden of Read'n worked to get Palin to speak at the "Raise the Roof" fundraiser for Teen Challenge's Montana Women's Outreach in Missoula. Nice of her to speak at the Hilton Garden Inn and help raise money for a nonprofit organization helping women addicted to drugs or alcohol. But there's more to the story according to the Missoula Independent. 1600 tickets are available. At $100 each, that's a possible $160,000. Teen Challenge hopes to raise $50,000. Palin's speaking fee of $100,000, with a maybe of $75,000 since it's in the western U.S., means she will make more off the gig than the nonprofit the fundraiser is for. I look forward to seeing how pans out on September 12. But I'm not buying a ticket. You can listen to her babble on the YouTube. It looks like next Monday I may be taking the Country Homes, Wall and Post route to and from work until the end of my commuting season. While it's shorter than the Addison/Standard route, there's much more traffic to deal with especially in the afternoon. The use of the word "rehabilitation" tickles me. Why can't they say repave or rebuild. Rehabilitation makes it sound like there's going to be an intervention. And yet maybe they're on to something because this road can't say no to crack. Fortunately she wisely stopped applying makeup when the light turned green. Can the so-called male enhancement industry get any more disturbing? 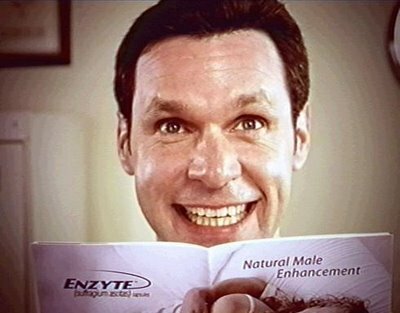 First we've had to suffer through that awful whistling as Smiling Bob and his smiling wife smiled rather bizarre smiles as they inferred the effects of Enzyte to us. Welcome home, Bob! Fortunately, you can still catch video of how well Smiling Bob is doing on the web site and catch more of that whistling, too. It makes for a great earworm while on a long bike ride. And your fellow riders will love that you want to share by whistling the tune yourself. 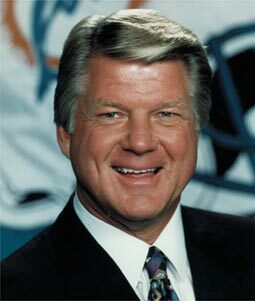 Now we have former football coach Jimmy Johnson as the television spokesperson. BTW, he turns 67 years old tomorrow. Happy birthday, Jimmy. Jimmy tells us Enzyte is not about being deficient or lacking anything. It's about making the most of what you have, like going from good to great. Thanks for the swell advice, coach! In today's Spokesman Review we have an article concerning a promising obesity drug. In the study, lorcaserin caused more people to lose at least 5 percent of their body weight over one year, more than twice the rate achieved by those on dummy pills. Most people don’t stick to diets. And diet pills have had bad side effects or can’t be taken long-term. Five percent must be a truly amazing weight loss over a year. That means someone who weights 300 pounds could easily lose and keep off at least 15 pounds. And remain obese. It seems we're not addressing the root cause of this fairly recent societal health issue. And then sounding like a late night advertisement we have this. But now comes lorcaserin, a round blue tablet that would be the first truly novel weight-loss pill in a dozen years if it wins approval. Or you could buy a blue bicycle instead. Racism is alive and well in America and trying very hard to appear sane, rational and reasonable. Here's a sterling example. Ryan Murdough, of Ashland, is running as a Republican for a State House seat in Grafton County's 8th District in New Hampshire. Check out this article in the Concord Monitor that was prompted by his letter to the editor in which he stated white people need to preserve their racial identity. Murdough says he's nonviolent, that his vision for a new America can be achieved without resorting to genocide or imprisonment. So please, don't call him a racist. He says that's not true. I say no, so I can't really be a racist, because I don't hate them. I just don't want to live around areas that are heavily, predominantly non-white." "The older you get, the wiser you get," Murdough said. "I started to observe things, after high school especially . . . things that I found that were wrong and unjust. I started educating myself politically and religiously and racially. It started coming together, and they all just made sense." Here is what this self educated man taught himself. He spoke about theories that were hard to digest, speculating that DNA and committing crimes could be related. "I'll be the first one to say there's good and bad in all races," Murdough said. "But you can't ignore overall group differences because of individual exceptions. Like him as an individual representative white person. "Listen, just because I choose not to live in those types of neighborhoods doesn't mean I'm a racist," he continued. "I'd just rather live in a place that would be safer for my kids, and most of the those places happen to be white. New Hampshire is an example." Those types of neighborhoods with those types of people. Charles Manson, John Wayne Gacy, and Bonnie and Clyde were all white and presumably would make better neighbors than nonwhites. Murdough reveres the founding fathers, but Abraham Lincoln? "One of the worst presidents ever. 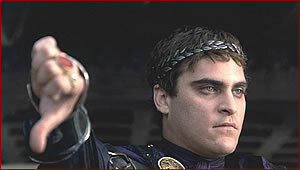 He waged war against the South." Apparently for no good reason. Martin Luther King Jr.? Don't get him started. King was a prostitute-chasing communist who plagiarized his work in college, Murdough says. The heck with the civil rights movement King led. Murdough doesn't believe in that cause anyway. "He wasn't out for civil rights," Murdough said. "He was out for the black man. If you argue against something that's politically correct, such as Martin Luther King Jr. and Jewish issues, you're persona non grata." What does being "out for the black man" mean exactly? "I've even read some things where Jews are considered white because of their skin," Murdough said. "Technically, they're a different race than white people. They're Semitic; that's not white." I knew there was something about Sammy Davis Jr. that wasn't quite right. He was Jewish. Even though whites weren't America's original settlers, Murdough says American Indians would have to leave, too, just like members of all other non-white races. We came, we saw, we conquered. Too bad. "What happened with them was unfortunate," Murdough said. "But the way lands are taken over is the way it works. They were here, the Western settlers took over and the rest is history." Whites displacing nonwhites is unfortunate. But the nonwhites were conquered and that's that. The reverse is not permissable. The conversation continued along these lines, from a man who says immigration of any kind must stop so America can be white as snow. He tempered his comments along the way, separating himself from the Klan and Hitler by mentioning his job. Murdough works with special-needs kids at the Spaulding Youth Center in Tilton. "I work directly with kids that are not white and people that are not white on a daily basis," Murdough said. "I don't have a problem working with them. That would be immature to be mean to someone based on skin color." He works directly with kids that are not while so that makes it okay. And if you feel an overwhelming desire to help him run for office, the American Third Position is trying to raise money for him. Go whitey! I will refer to them as Man A and Man 2. You can't miss? Do you try to? Yes, he actually said “doody”. I can't believe this conversation. After eating Mexican? Dude, where are you eating? Both flushed, presumably using their feet, and went over to the sinks where they rinsed their hands off. Now I could hear humor in their tone as they scrunched paper towels. They left and I finished...you know...going doody. I rode my bike to the workshop at the Lincoln Center. There is no bike rack so I started to lock my bike to a column. I was politely asked to lock it up "on one of those wood pillars over there." (circled in yellow) The irony of this happening at a transportation visioning workshop was not lost on me. Maps of Spokane County were on display in the back of the room showing land use (commercial, residential, etc. ), road network, proposed bicycle network, proposed high performance transportation network (bus and rail), and freight network (roads and rail). About forty people were in attendance. The workshop was conducted by MIG, a consulting firm working with the Spokane Regional Transportation Council. They presented a broad, high-level, yet fairly comprehensive review of land use, road networks, etc., that mirrored the information presented on the displayed maps. Lots of points were brought up by some in attendance about transportation access for seniors, creating livable communities, and emphasizing development that promoted and allowed walking to work, school, stores, etc. We were asked what Spokane's strengths were and many were mentioned. A good education infrastructure, parks, the arts, historical preservation, variety and availability of sports and activities to mention a few. After that we went through a vague questionnaire on community values and checked which ones we highly value, somewhat value, and don't value. Categories like Interregional Connectivity, Regional Perspective, and Self-Determination/Independence created questions and required clarification. The few in attendance chipped in with lots of good feedback, but since this was on such a high level I'm not sure how useful it would be to MIG without associated demographic information. Cyclists made up a larger proportion of the group than normal. I'd put the median age of everyone there at 45 years or higher. Maybe one person there was in the 20-30 year range. One point brought up was that the price of gas, which always has an effect on transportation, had not been considered yet but would be in the future. The idea of $10 a gallon gas really increases the focus on local. Here is what the people attending listed as their most common mode of travel. On this chart we noted what we'd like to change about our most common daily trips. Safety and proximity to other amenities were the top two. Overall, the workshop was interesting and useful, but the point that there are also business and political forces to be reckoned with reminded everyone that an egalitarian transportation system is not something that's automatically going to happen. On the way home last night I found this sign was moved and blocking the bike lane again. I don't understand why messing with this sign has become so popular this year. The city may want to consider a permanent solution. Cathy McMorris Rodgers is now beholden to that denizen of the bogus death panel fantasy land, none other than America's darling, the quitting governor of Alaska, Sarah Palin. The PAC for the queen of high speaking fees to spout cliches and nonsense, Sarah PAC, gave $5,000 to McMorris Rodgers (scroll way down or search for "McMorris"), who's been making forays across Tea Party boundaries to make herself more appealing to the wingnut right but still appear sane to her conservative base. She walks that tightrope well. From Palin's blog where she announced her endorsement of McMorris Rodgers. Obviously not waiting for another bear to do the work for them, the mama bears not only foraged for themselves to prepare for winter, but they worked twice as hard to slay salmon for their cubs, too, making sure the future of the population was ready for the season ahead. You go, Momma Ursus arctos horribilis and slay some salmon! 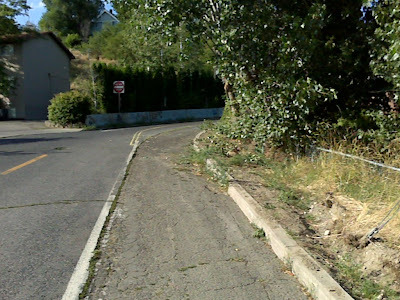 I don't know if there's anyone in Spokane more enthusiastic, optimistic, and positive about cycling as Bill Bender. As John Speare has mentioned before, Bill is more than an idea guy. He gets things done. The photo of Bill on the right is from last May's Bike to Work Week kickoff breakfast. Most people cannot ride a bike to work dressed like that, but Bill is not like most people. Not only did Bill bring us the first Spokefest two years ago, he co-chaired Summer Parkways with Erika Henry of Mountain Gear. Today was the first Summer Parkways. The next is scheduled for August 22nd. Like John wrote a couple years ago, it's easy to be an idea guy. An idea guy could look at today's Summer Parkways and make all sorts of comments and suggestions. But it's the people that make it happen we rely on. I think Spokane appreciates just how much work Bill, Erika and many other volunteers do to make a community event like Summer Parkways happen. Congrats to the entire crew for a job well done. Kathy and I rode the tandem to Summer Parkways and managed to get there just in time for the bike decorating contest. There were many cool "wish I'd thought of that" entries. A handlebar-mounted bubble gun is serious business. It's always good view from where I'm sitting. A recycle themed bike. Nice!